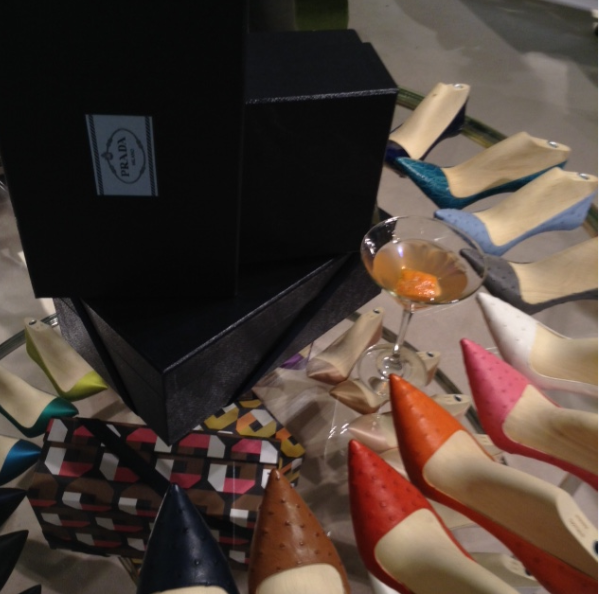 I recently had the opportunity to preview Prada’s Bespoke shoe collection at Tyson’s Galleria in Washington, DC. The new Made To Order Décolleté collection is a very special opportunity for customers to design their own Prada shoes.The journey to create your own custom pair of shoes begins by choosing a design model. Choices include pumps, flats or peep-toes? Next there is a rainbow of colors and prints as well as fantastic materials to pick including: satin, suede, patent and different types of leather. Picking a customized sole is the next difficult choice, and I immediately fell to the charms of the delicate, light blue sole but colors like black, white and beige are also available. And to add the icing on top of the beautiful Prada shoe fantasy, if you so choose, you can add your initials in amber-colored medal below the Prada logo on the sole of the shoe. These delightful shoes are delivered within one month and are the dream for any woman. Are you always on the forefront of style, fashion and technology? If so your lucky day will arrive on Tuesday, April 15 when Google will make sales of Google Glass available to everyone in the United States for $1,500.00. This special sale is the first time the tech device is available to the general public; previously only Google “Explorers” or “early adopters” or developers could make a purchase. The sale starts at 9 a.m. ET on April 15 and any individual making a first time purchase will receive a free frames or sunglasses but supply is limited. Google Glass has been making news headlines most recently with a partnership with Luxottica, an Italian Brand best known for Ray-Ban and Oakley brands and licensing agreements with the likes of Prada, Chanel, Dolce & Gabbana and Coach to market the Glass collection in 2015 and to offer prescription glasses. 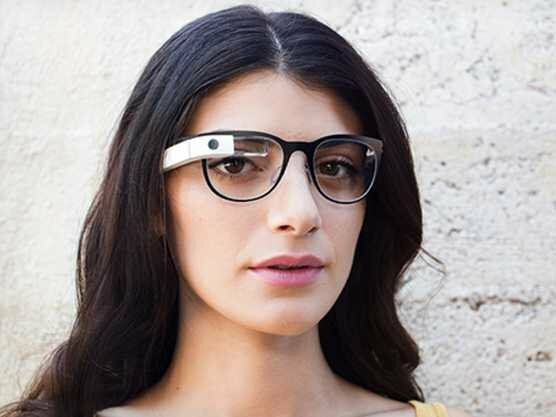 Controversy has also surrounded Google Glass as it carries an Orwellian small camera that can record 720p video or snap still photos with no indicator light showing when the camera is on; therefore pictures or short films can be taken almost secretly and so Google Glass has been banned from many bars and restaurants. It has also taken the fashion world by storm walking the runway at Diane Von Furstenberg with Sergey Brin at New York Fashion Week. Will you make a Google Glass purchase? 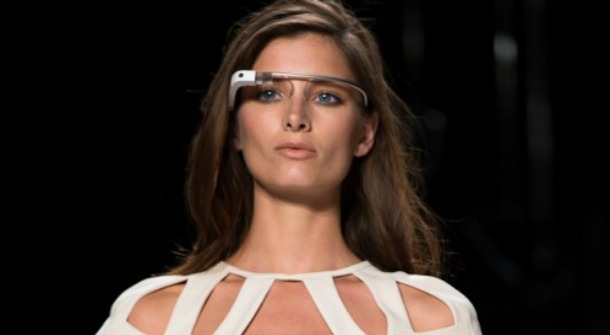 Google Glass is evolving as plans have been announced to partner with Luxottica to market prescription Google Glasses to a mass market. Luxottica, an Italian Brand best known for Ray-Ban and Oakley brands and licensing agreements with the likes of Prada, Chanel, Dolce & Gabbana and Coach will market the Glass collection in 2015. Currently, Glass, which costs more than $1,500, is only available to select few through Google’s Explorer Program. Google Glass has faced controversy as wearers can take photos and videos without the consent of those around them and many bars have already banned Google Glass. Since Glass gives everyone the opportunity to have their picture taken, anytime, anywhere here are some of my tips on the best HD Makeup so you can always look picture ready. 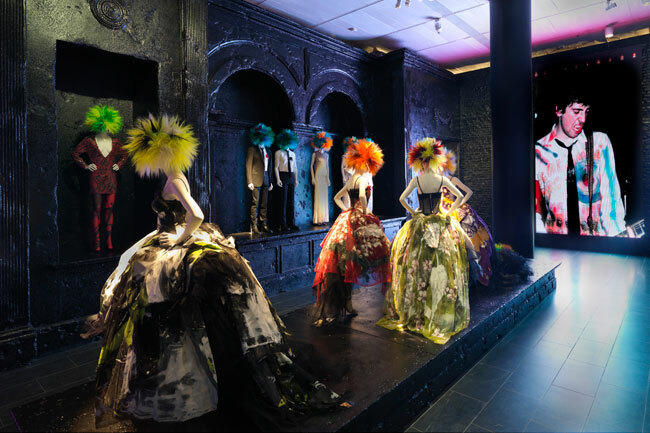 Fashion and art collide this summer with blockbuster exhibits featuring a fashion icon, a little black dress, a toast to 80’s club culture and a bunch of punks. Oscar de la Renta “American Icon” is being held at the Bill Clinton Presidential Library in Little Rock Arkansas. The exhibit showcases the life, designs and clothes from the man who adorns aristocrats, movie stars like Michelle Williams and Cameron Diaz and first ladies such as Hillary Clinton whose ‘now famous’ Oscar de la Renta teal pantsuit is in the exhibit. 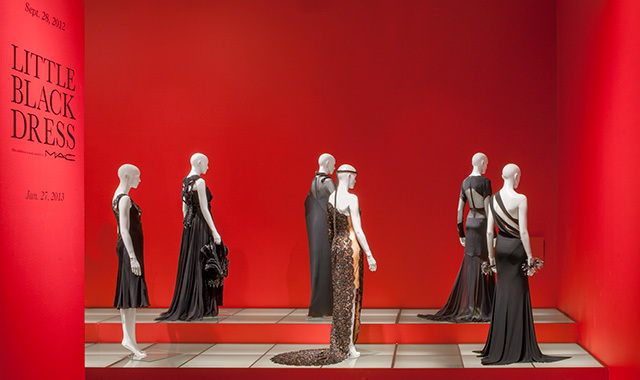 Oscar’s famous floral evening gowns are scattered beautifully throughout the exhibit, while Spanish inspired frocks are also strong in the collection reflecting the Dominican-born designer’s time in Spain. This exhibit, which is free by the way, runs through December 1. The Little Black Dress Exhibit at the Savannah College of Art and Design details the historic rise of one singular dress that is part icon and staple for all women around the world. Curated by André Leon Talley a contributing editor at Vogue, the show documents the evolution and staying power of the little black dress over shifting tastes and culture. 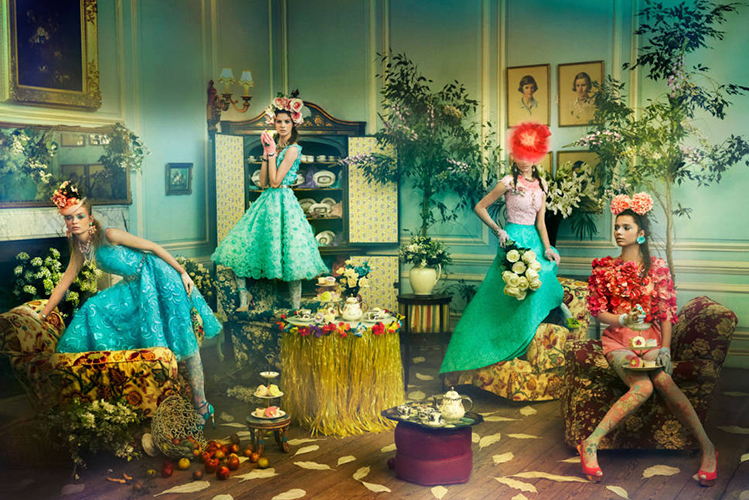 Top fashion houses such as Comme des Garçons, Chanel and Yves Saint Laurent are presented, in addition to pieces from the private collections of those on the Internationally Best Dressed List such as Muccia Prada and Marc Jacobs. Over 80 unique dresses are on display and when the show debuted in Paris it was a huge hit so if you missed it this is your chance. The exhibit book is really quite a gem too and I have a coffee table that is looking forward to meeting it soon. Club to Catwalk is all about 80’s fashion and club culture in London at the Victoria and Albert Museum. The show shines a bright techno spotlight on the creative relationship between the real world on the street and the conceptual world of design. Music of the decade plays an important part of the show, serving as inspiration for designers as Katharine Hamnett, Vivienne Westwood, Paul Smith and John Galliano during their formative years. The looks are intense and border on a mix of costume and fashion while documenting experimental unique looks for a group movement. Dramatically highlighting over 100 “do it yourself” punk inspired designs, the show blasts the beats of Johnny Rotten beside wild colored hair and splattered ball gowns. Movements from New York City and London are shown with curated sections called Hardware, Bricolage, Graffiti, Agitprop, and Destroy that inspire movement down the seven galleries filled with sight, sound and mostly fashion.